I am restarting some research on SAAF Operations since 1920. WWII Operations, is sorted and available. Has anyone come across on-line information regarding 2 Squadrons deployment and activities (operations, missions etc) whilst participating in the Korean Theatre of Operation, if you have could you please consider and be so kind as to pass me the www link or reference - I'll appreciate it greatly. 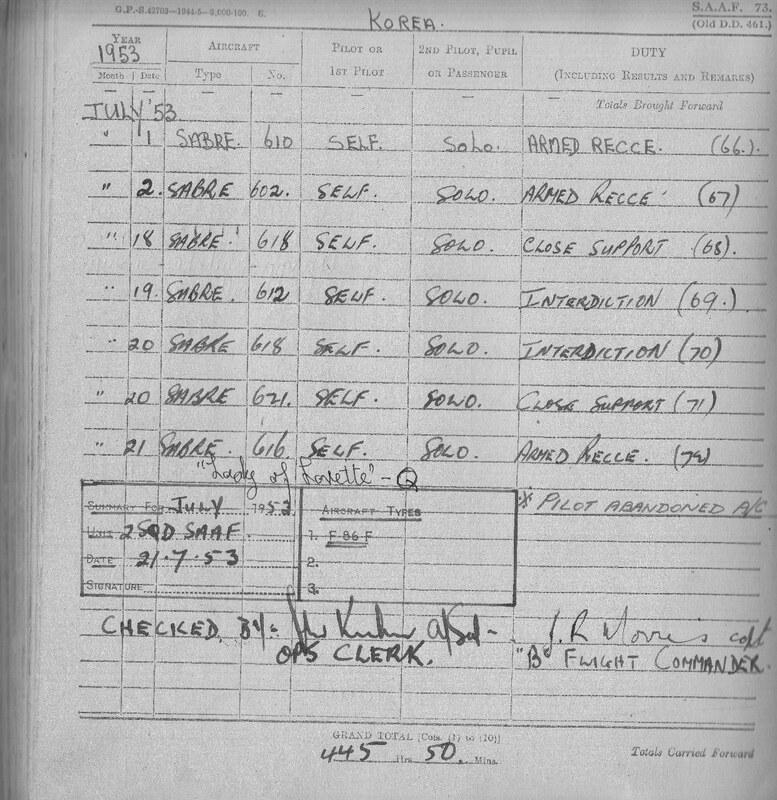 I have had success in obtaining a comprehensive list of accidents which involved most of the participating air forces. Not sure if anything substantial has ever been put online. 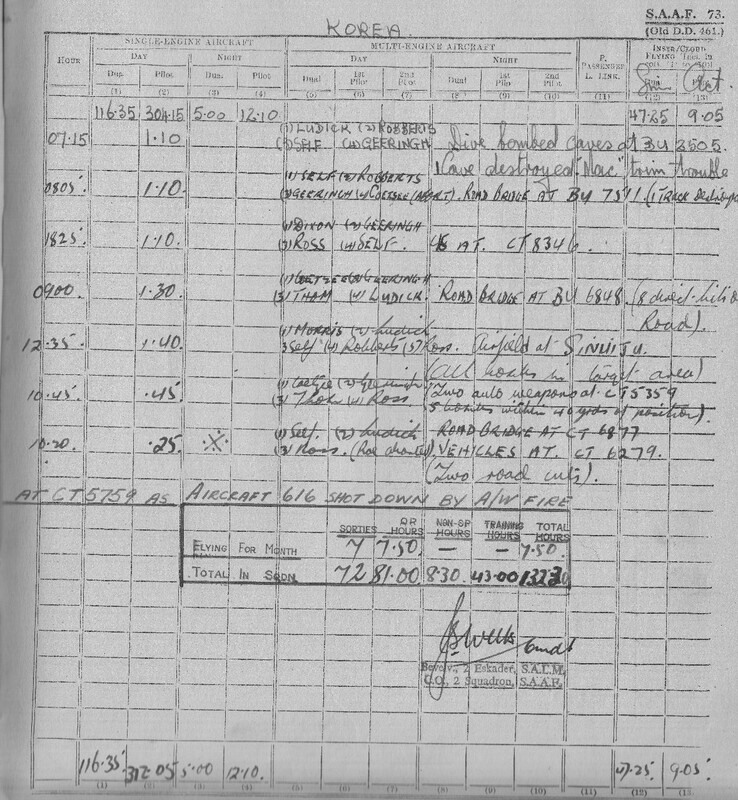 All the original operation and sortie reports are held at the SANDF Documentation Centre in Irene, Pretoria. WW2 stuff is easier since I believe most of it is accessible online or been made available in other forms by the British PRO. Not the same for post-WW2 records. Very slim pickings out there. Very little on the topic online, indeed very little published in any form, one or two out-of-print books as far as I know. One was a UNISA Master's Thesis published as part of the "South Africans at War" series which is like hen's teeth nowadays. I have the book in a box just arrived from SA, as soon as I find it I'll post the details. As FSB said, the records are at the SANDF archives in Pretoria, waiting for someone with the free time and research skills to write a comprehensive history.